I'm 28 years old. Single and childless. And even though I'm currently in a relationship, marriage and children are hardly on the top of my list of "things to accomplish in the next 5 years". With just a simply glance at my Facebook timeline, it's apparent that I'm part of a minority, as it appears that the majority of people around my age are heavily immersed in weddings, engagement rings, anniversaries, and babies. When the whole "wedding fever" began when I was in my early 20s, it honestly used to really bother me. I'd have friends who I was once really close with now rarely have time to hang out because they'd "like to be home" with their husbands. And even when I would hang out with my married or soon-to-be married friends, the conversations mostly evolved around weddings, decorating new homes, and who was getting pregnant. I felt so, well, confused. My first thoughts when this "wedding fever" began was something like, "Wait, so we're all just graduating college and getting married now? Why? Isn't there anything else we all want to do?" But, alas, the weddings continued and became even more frequent as time when on. These initial feelings of confusion quickly turned into feelings of feeling left out. It was as if I were trying for the varsity volleyball team and, despite all my hard work and effort, I just didn't make the cut. I dated quite a bit and had a few more serious relationships, but I was hardly ever able to get into a relationship that was capable of more long-term stability. Communication, boundary, and simple "he's just not that into you" issues were abound. I wanted to do the new "cool" thing like all my friends were so we could talk wedding and marriage stuff and I could feel like I was a "part of the group", but it just wasn't happening. And I had no idea why. Then, around the age of 24, I decided to stop trying to make things work that weren't going to and I decided to move... halfway around the world. So I moved to South Korea with the intention to teach English for a year then move back to the Midwest. Needless to say, one year turned into a year and a half and rather than moving back to the Midwest I found myself moving to the West Coast to go to grad school. When you go through that many changes in your life due to traveling, it's hard to continue to be concerned about the same things that were once really troubling you while you were in your old culture. You're constantly changing and growing because your outer world is always changing. Anything that just really doesn't effect us very much in our current environment, simply falls away and becomes hardly a concern. That is the interesting thing about travel -- when everything in our external world is shockingly turned upside down there is much less room to worry about "fitting in", so the main focus becomes "Who am I?" You as your own truth self. So I got out of the "I need to fit in" mentality. I stopped caring about the fact that everyone was getting married and having babies. I stopped caring about what other people thought. Instead, I did my own thing -- enjoying the life of traveling and taking up hobbies of painting, photography, and writing. In doing so, I gradually became more and more in-tune with me... the real me. The me that has always desired to explore and learn about the world and, simply, enjoy the beauty and love of this world fully and completely. The me that is fascinated about about psychology and what makes people tick. As I became more in-tune with my true self and allowed the part of me that was so worried about "fitting in" with the marriage culture to dissipate, something else happened. Something that, at that point, I wasn't expecting to happen... I finally found a stable and loving relationship. It has never been about getting a stable job, a house, 2.5 kids and a white picket fence with your spouse by the age of 30 in order to "keep up with the Jones's". Nor has it ever been about judging others for not getting married and having kids or for getting married and having kids. Nor has it ever been about judging who should be allowed to get married and who shouldn't. What it is about, and always has been about, is being true to yourself. It's about doing what you know in your heart is true for you regardless of what everyone else around you is doing. After all, they're not who you need to live with for your entire life. 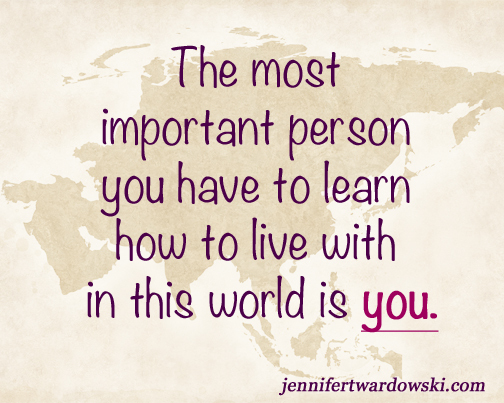 The most important person you have to learn how to live with is you. 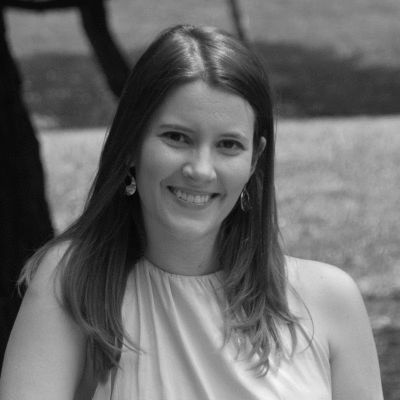 Jennifer is a self and relationship coach and the founder of JenniferTwardowski.com. Her mission is to help women awaken to the love that they possess within themselves so they can create more loving relationships in their lives. Click here for her Free Self and Relationship Healing Meditation and weekly blog updates. To learn about how you can work with her, click here.